There is always a high demand for the professional drivers since there are several business houses that require drivers day in and day out for their regular business operations. Taking an advantage of such demands and situations, you can certainly make a career out of professional driving that can also give you a lucrative salary as a monthly pay out. Thus if you are a passionate person about the roads and the vehicles, professional driving should be your calling in all aspects. But before getting into all that, you must obtain a professional certification in professional driving course and that can only be possible when you join us at Dhoot Driving School in Surrey, London for availing courses like LGV/ HGV training, PCV training, and driver CPC training along with other refresher training courses. All the training programs that are offered at our center are perfectly suitable for the beginners and the experienced alike. When you join us at Dhoot Driving School in Surrey, London, you can expect a stress free environment and can also leave all your worries and tensions to us and instead become a professional driver with all the skilled qualities of a good, safe and a knowledgeable driver. All the training programs that are designed at our centers are given equal importance in terms of the theoretical and the practical aspects of driving as well. All the training programs like the LGV/HGV training, PCV training and the driver CPC training are tailor made for the beginners as well as the experienced drivers. Each of these training programs are also sub divided into several categories and classifications depending on the type of vehicle that you drive, your age and also on certain other exclusive criteria based on the training program that you choose. PCV training: If you want to drive the passenger carrying vehicles, you have to go for this training. There are several categories in this training program like D1 + E minibus & trailer, D manual coach and D + E coach & trailer, D automatic, and D1 minibus. Of these categories, the last two training categories are meant for the manually driven vehicles. There are certain criteria for these training categories as well like the number of passengers on board, your age and also the type of vehicle that you plan to drive. LGV/HGV training: You can drive large goods vehicle and the heavy goods vehicle, you have to obtain a license in this regard. Some of the categories that you can choose from are C1+E license, C1 – license, C1 + E – 7.5t & trailer, C – up to 32 tons and C + E truck & trailer. Your choice of the training program will depend on the weight specification of the vehicle and also on your age and also on the type of vehicle that you wish to drive. B+E car and trailer training: This training is for towing vehicles only. Depending on the maximum authorized mass limit, you can choose the license from B or B+E. If your vehicle weighs more than the MAM limit, you have to obtain the B+E license. If your vehicle weighs within the limits of MAM, you have to obtain B license. Driver CPC training: This training is considered as a mandatory course for all the LGV/ HGV trained drivers. For obtaining the training, you have to appear for the driver CPC theory tests and check out the driver CPC case studies. You can obtain help from different driver CPC modules like the driver CPC modules 4 and 2. When you enroll with us at Dhoot Driving School in Surrey, London, you can avail certain benefits like opting for a PCV pass protection and the pass protection services. 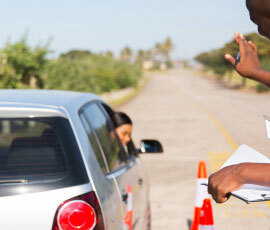 These services enable you to reappear for the driving test in case you fail to clear it in one attempt. We also offer money refund in case you are not satisfied with the training program that we have in offer for you. All the courses are available in several languages apart from English. The theory books, the class room coaching and also all other training related instructions are available in different languages apart from English. The trainers are also multi lingual and speak all the languages quite fluently. The trainers associated with us are also registered with the DSA and approved by them. The training vehicles that we use for the purpose of training are completely equipped with the dual access controls which absolutely eliminate the chances and probabilities of any accidents and mishaps. There are many services and training courses that are of immense help for any individual looking for a professional career in driving. 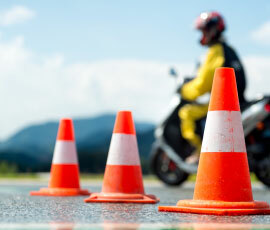 For more information about all, you should visit us at Dhoot Driving School in Surrey, London.